MOSOP President Legborsi Pyagbara told newsmen in Port Harcourt on Wednesday that Shell had not shown enough willingness to be part of the exercise. According to him, the company is supposed to pay 200 million dollars annually into the clean-up trust fund. He said that the clean-up would not be realisable without Shell’s fulfilment of its part of the funding plan. Piagbara said that the 10 million dollars the company had paid was a take-off fund for the clean-up project. “This cannot handle the project itself. “The agreement is an annual payment of 200 million dollars for the clean-up; as we speak, shell cannot say it has paid such money. “Shell has not lived up to the agreement; we are expecting it to pay its share of the funding so that efforts on the project will become visible,’’ he said. 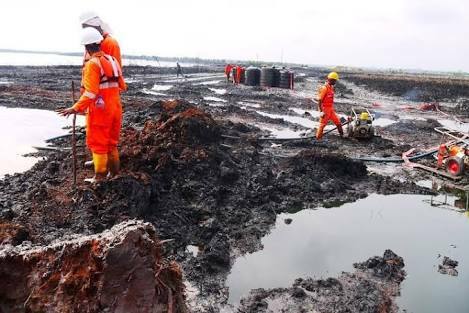 The News Agency of Nigeria (NAN) reports that the clean-up of oil devastated sites in Ogoni has remained topical, following the recent release of 10 million dollars by shell. Only recently, the National Youth Council of Ogoni People (NYCOP) said it was unsatisfied with the handling of the funds released by shell. NYCOP said it would ensure full assessment of all expenditures concerning the Ogoni clean-up exercise. NAN reports that Vice President Yemi Osinbajo in June 2016 kicked-started the oil spillage clean-up in Bodo, Gokana Local Government Area of Rivers. A United Nations Environment Programme (UNEP) scientific study released in 2011 exposed the large-scale, continued contamination of the water and soil in Ogoniland. The study also reported the serious threats such as environmental contamination posed to human health.